There's no question allergies and their symptoms have become much more problematic for a rising number of people in recent years (thanks, climate change). And while over-the-counter and prescription medications seem to be the first approach in quelling the irritating coughing, sneezing, itching, and wheezing associated with the season, they're not the only way to combat the pollen plaguing your sinuses. For those who prefer a more natural approach, MindBodyGreen's senior food editor Liz Moody shared her secret remedy in a recent post for the health and wellness site. As it turns out, it's as simple as sipping on some tea. Specifically, nettle tea, which is backed by significant studies to do the trick when it comes to aiding allergies. Nettle is a powerful anti-inflammatory, which is why the plant-based herb is able to attack allergies so effectively. The only downside? Moody notes that the grassiness of the nettle alone is less than appealing to the taste, so she was pleased to find a more inviting alternative. Republic of Tea's Peppermint Vanilla Nettle Tea has proven to be just as effective but far less offensive thanks to the sweet notes of vanilla and peppermint. Don't believe us? Take it from Moody's firsthand experience: "In about a week of drinking a cup or two a day, my eyes stopped itching and I went from blowing my nose upward of 10 times a day to blowing it once or twice." 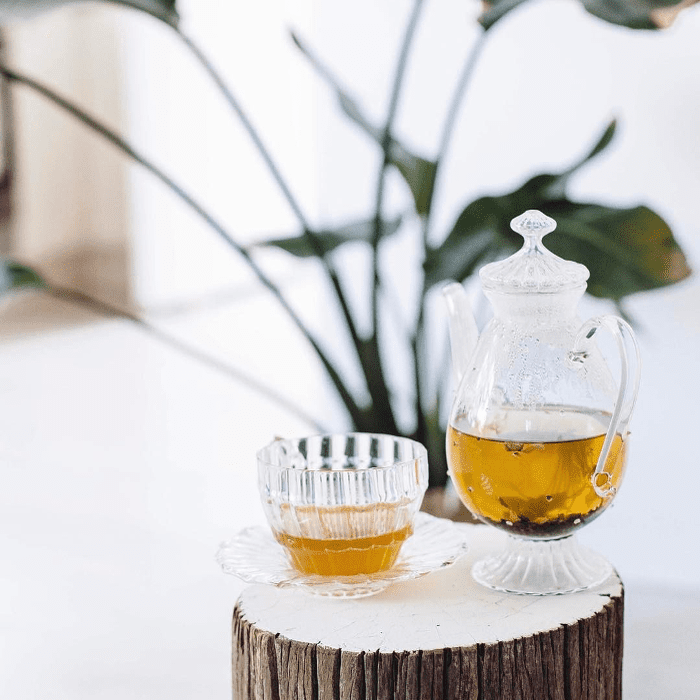 So if you're in search of a natural remedy to aid your allergies, you might want to try incorporating some (nettle) tea time into your daily schedule. Not a fan of nettle? Try another easy alternative to help fight off allergies and share your secret for combatting them below.